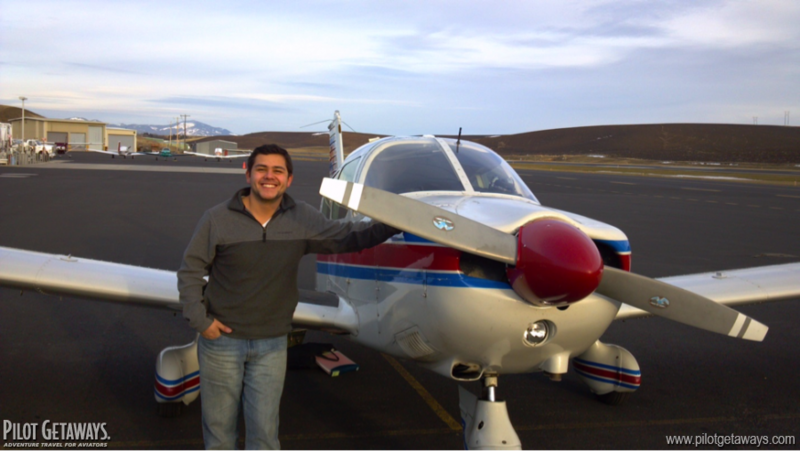 I started flying when I was 17 in Coeur d'Alene Idaho, also known as COE, in pilot speak. Other than my cross country flights during training in a C172, I had never been able to make what I considered to be a true cross country: more than 500 miles. 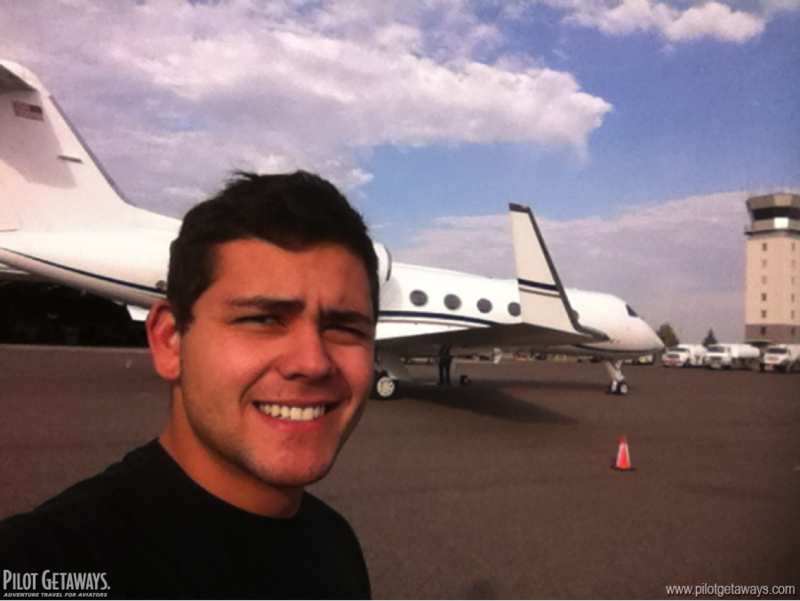 The biggest reason for this was the fact that renting an airplane for that amount of time simply to fly somewhere far away, is an expensive proposition for a college kid. Last year I started working part time for an aircraft company designing PMA aircraft components near the college where I attend. 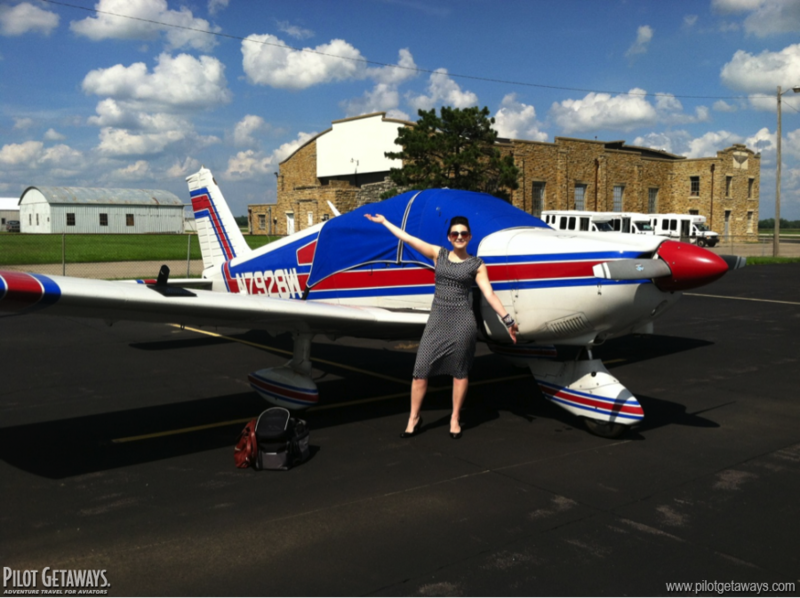 One of the perks, I was told upon being hired, was that all employees had access to the company plane, a Piper Cherokee 180, and all we had to pay for was fuel. This was my chance. I waited until classes were over for the summer then I started planning. There were several good friends of mine who lived in Topeka, Kansas, I had not seen them in several years so that provided me a good excuse and Kansas would make for a nice long cross country. I decided that the best plan would be to stay as close to the interstates for as much of the flight as possible. The Cherokee holds 50 gallons but even with that I planned for conservative fuel stops. More frequent stops would also help to keep me from getting fatigued. At 4:30 am in the morning on August 7th with just a slight glint of light was peeping over the mountains, I was lined up at the end of the runway. After a quick run up and mag check I cut the brakes and was headed east. 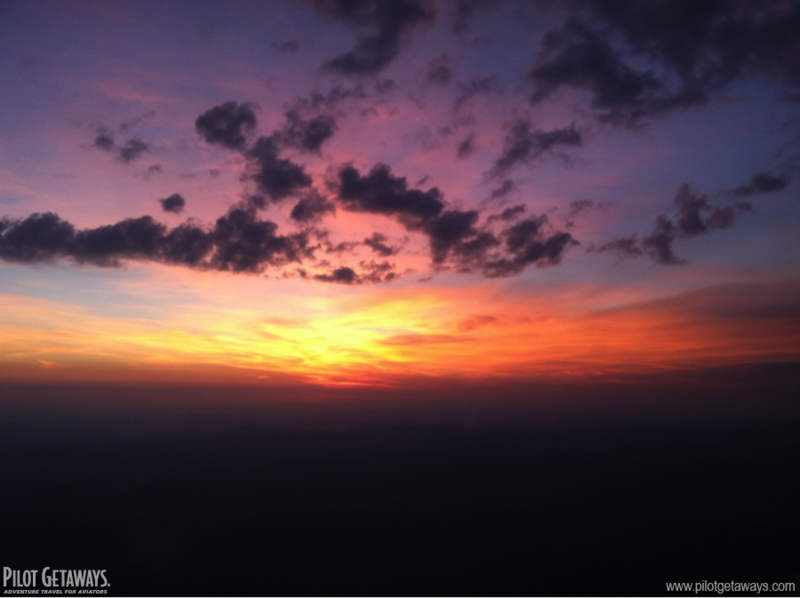 Watching the sunrise from altitude is something only pilots get to experience. I departed Pullman Washington (PUW) and in less than an hour was across Idaho and over Montana. 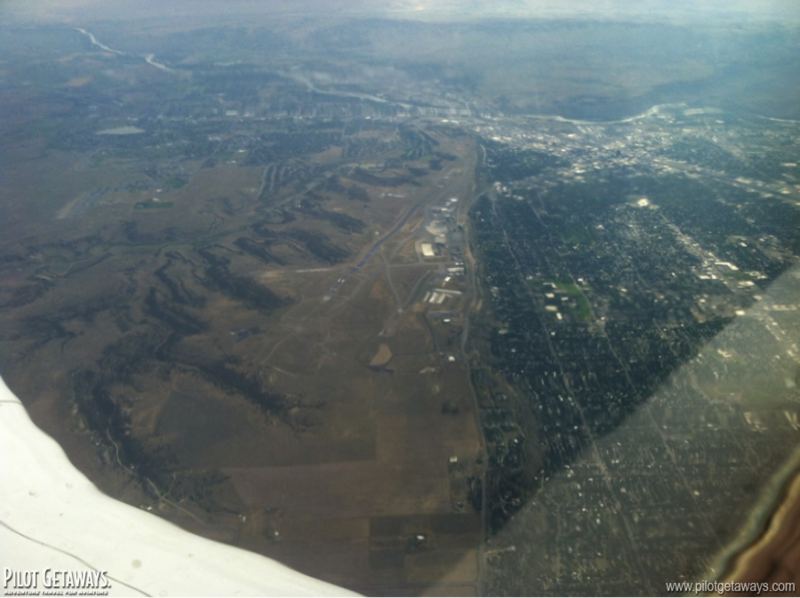 My first stop was Bozeman (BZN) where I topped off my tanks and got back into the air as soon as the fuel truck was out of my way. 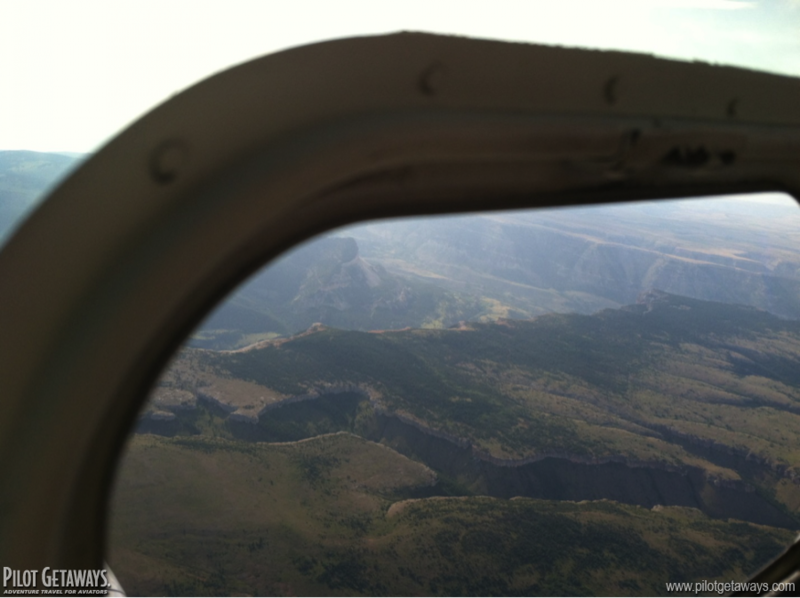 From Bozeman my little Cherokee and I flew to Billings, Montana where I turned south for my second stop, Buffalo, Wyoming. 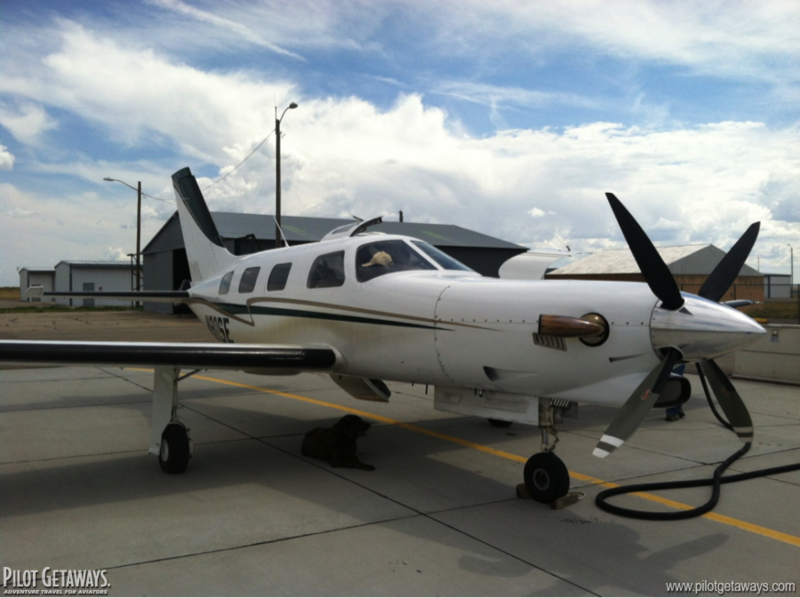 After grabbing fuel in Buffalo, then again in Torrington, where I spent a brief few minutes adoring a jetprop that had also stopped for fuel, I left Wyoming for Nebraska. The Nebraska landscape was a stark contrast to the mountains of Idaho where I had grown up. The featureless corn fields made pilotage much more difficult. No more easily identifiable mountain tops, just tiny little Midwestern towns that all looked the same. 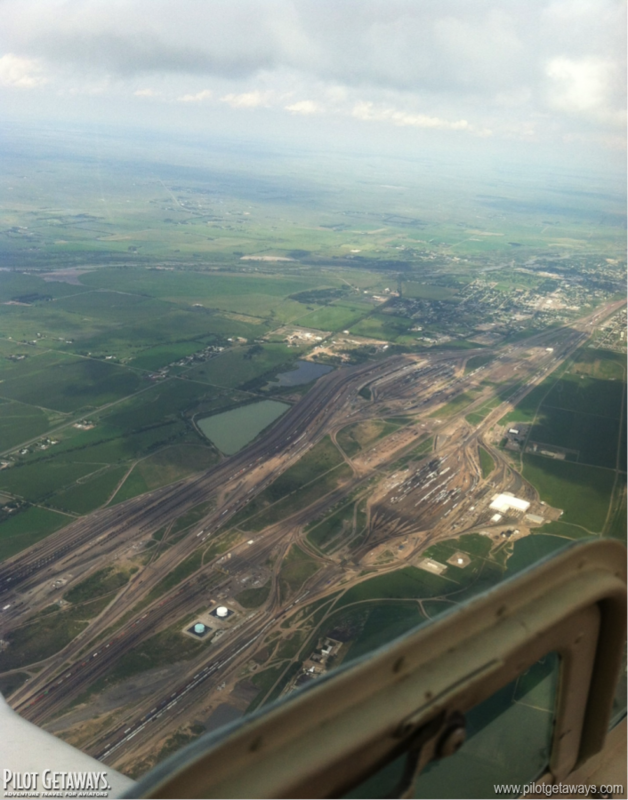 The one place that was easy to spot was famous North Platte Rail Yard. I had never seen so many rail lines in my life! I had stopped again for fuel in Lexington (LXN); it was here that a sporadic storm cell about five miles wide threatened to overtake me and delay my departure east. The small cells seem to wander about with the wind darkening a portion of the sky while everywhere else is sunny and VFR. A quick goodbye to the fuel guy and I was back in the air. It didn’t take long for me to cross the border into Kansas. I knew I was only two hours from my final destination: Topeka KS. After 10 hours, 26 minutes of flying, I landed in Topeka and met one of my eagerly waiting friends at the airport. I spent the week visiting friends and making new ones. But the time for me to return came quickly and I lifted off from Topeka Billard Airport early Sunday morning and headed west. For my return flight I simply retraced my path backwards experiencing good weather almost the whole way. It was until after I had gotten fuel in Bozeman that I had a little scare. 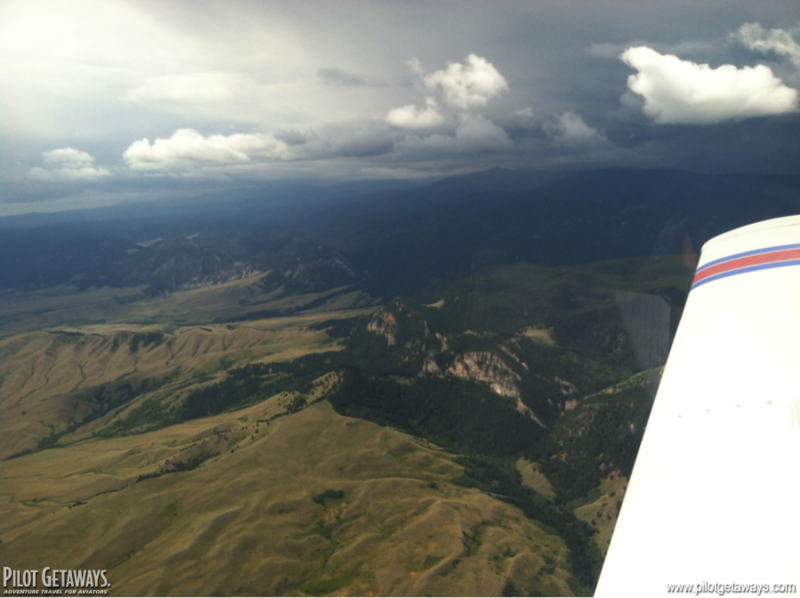 I was at 8,500 feet and had just leveled off for cruise. 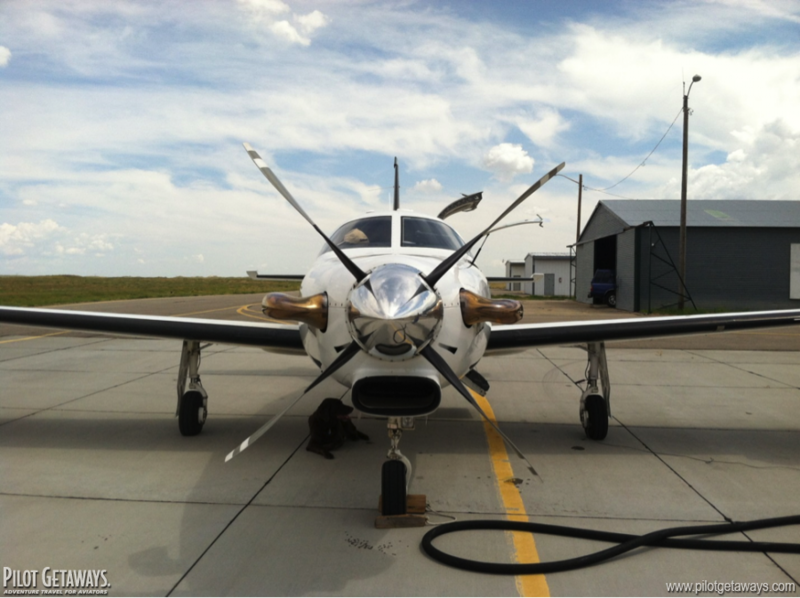 In a Cherokee it is standard to switch the electric fuel pump to the off position for cruise flight and let the engine driven pump do the work. After I had done this, out of habit, I glanced over to the fuel pressure gauge and saw that it had dropped to zero. I immediately switched the electric pump back on and the pressure jumped back up. Being high over the mountains with nowhere to land I decided to hug Interstate 90 the rest of the way back. For the remainder of the flight I carefully monitored my fuel pressure but thankfully, it never moved. I landed In Pullman, Washington after covering almost 2,300 miles, I finally had made my true cross country flight! Storm brewing over Wyoming on the way out. Between Billings, MT and Buffalo, WY, on the way back. 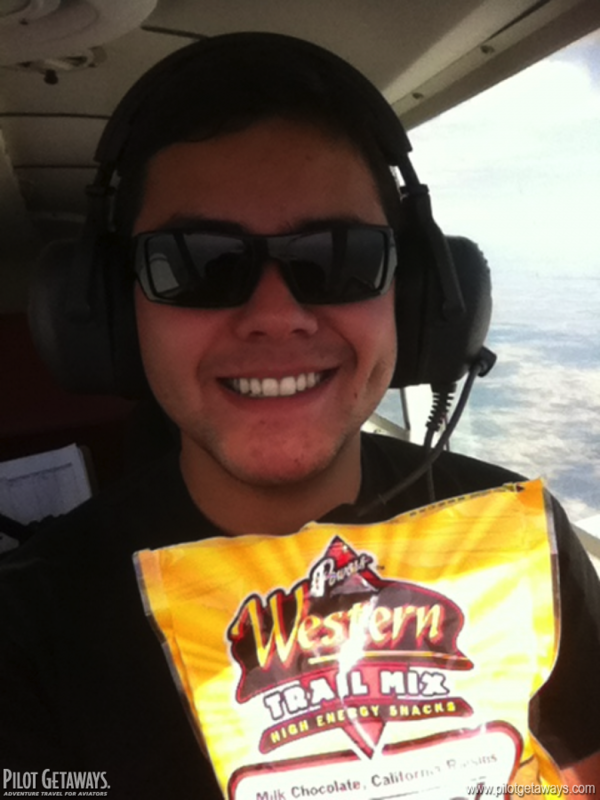 On a long flight, it's smart to take a snack along! Submitted by Anonymous on Mon, 11/25/2013 - 08:04. Submitted by Anonymous on Sun, 01/19/2014 - 11:18.